Ballerina begins with the title track, a piece that evokes images of a single dancer moving gracefully on an empty stage, unleashing deep emotions with the freedom of her movements - a very impressive opening! “Lucenie (Farewell)” poignantly expresses the sadness of saying “goodbye” to a loved one - a favorite! “S Tebou (With You)” is warm and comfortable with passion simmering just below the surface - perfect for a romantic movie soundtrack! I’m not sure why, but the piano does an amazing job of describing different kinds of rain. “Dazd (Rain)” is a lovely example of this. The left hand keeps a steady, calming rhythm while the right hand dances all over the piano keyboard, sometimes depicting a gentle drizzle and sometimes a sparkling downpour - another favorite. “Klavir pre Mamu (Piano for Mother)” is a wonderful expression of love and appreciation - gentle and very sincere. “Valcik v h mol (Waltz in B minor)” really shows Bohovic’s classical roots. The waltz tempo is fairly fast, but the melody is bittersweet and tender - I really like this one, too! “Trinasta (Thirteenth)” is a colorful bit of musical storytelling. Many different scenarios come to mind that could easily fit this descriptive, melancholy melody. “Rieka (River)” describes the peaceful flow of a body of water - always in motion, but never in a rush. Occasional bright flashes in the upper treble of the piano sound like bright sparkles of light on the water. “Marcel z maleho mesta” is Bohovic’s remake of one of Peter Nagy’s popular songs from the 1980’s. I don’t think I’m familiar with the original song, but this new version is a great closing to a great first album. 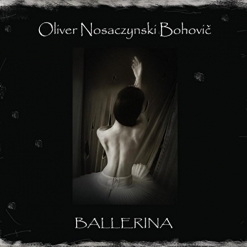 Ballerina is available from Amazon, iTunes and CD Baby and I recommend it. I’m sure we’ll be hearing much more from this exciting young artist - hopefully soon!